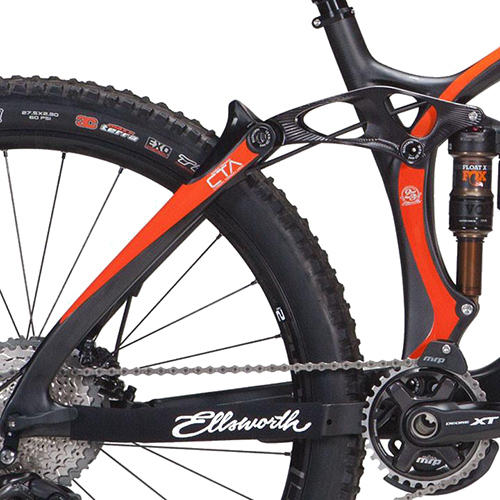 Energy Efficient Suspension is Ellsworth’s next generation fully-active rear suspension system engineered as a maximum pedal-efficient design for riders who want uncompromised ride quality both up and down the hill. The Ellsworth e-Den is an electronics storage area, dedicated to safe and tidy storage of your Di2 battery and wire junction within the downtube of the frame. The Ellsworth Hex Taper Axle employs hexagonal shaping on both ends to effectively lock the dropouts and hence the seatstay assembly together into one unit that seriously resists torsional deflection. The Ellsworth lineup, utilizes boost hub spacing. Incorporating an extra 6mm in the rear and 10mm in the front hubs yields great rewards with increased bracing angles for the spokes. This adds significant lateral stiffness to the wheels increasing performance and durability as well. 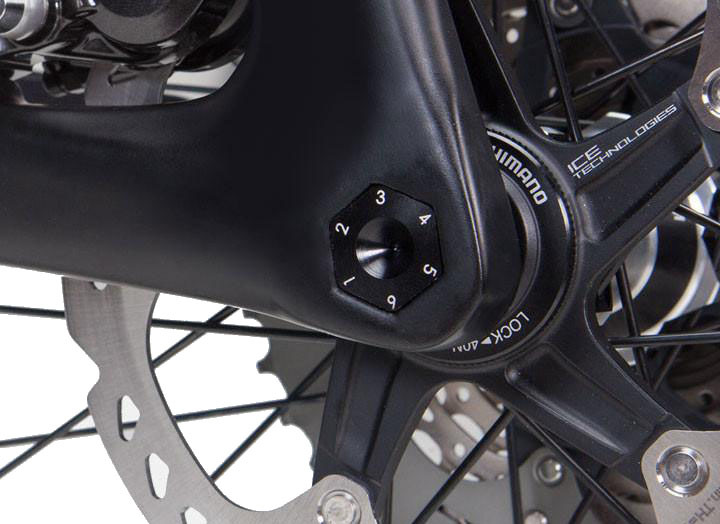 Boost hub spacing also allows clearance for bigger tires as the chainline moves outboard to 52mm, freeing up that crucial space for the driveside chainstay between the tire and chainring. At Ellsworth, we can be selective with our vendor partners to ensure that our bikes are equipped with the highest grade components that we can find. With names like Fox, Shimano, SRAM, DT Swiss, Maxxis, Race Face, and Cane Creek in the build list you’ll know it’s good stuff. All of our complete bike builds feature high quality parts that work well as a system, offer great durability and function, and are easily serviced by any qualified bike shop technician. 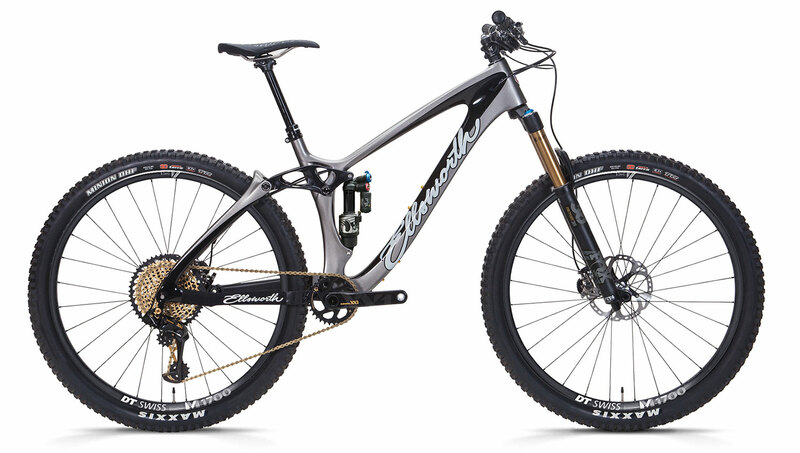 ACTIVE ENERGY EFFICIENT SUSPENSION is Ellsworth’s next generation fully-active rear suspension system engineered as a maximum pedal-efficient design for riders who want uncompromised ride quality both up and down the hill. The foundation of ACTIVE is our Instant Center Tracking technology that evolved over 17 years. Next generation enhancements (Carbon Torsion Arch, Hex Taper Axle, and Torque Tube Pivots) dramatically increase stiffness and durability. 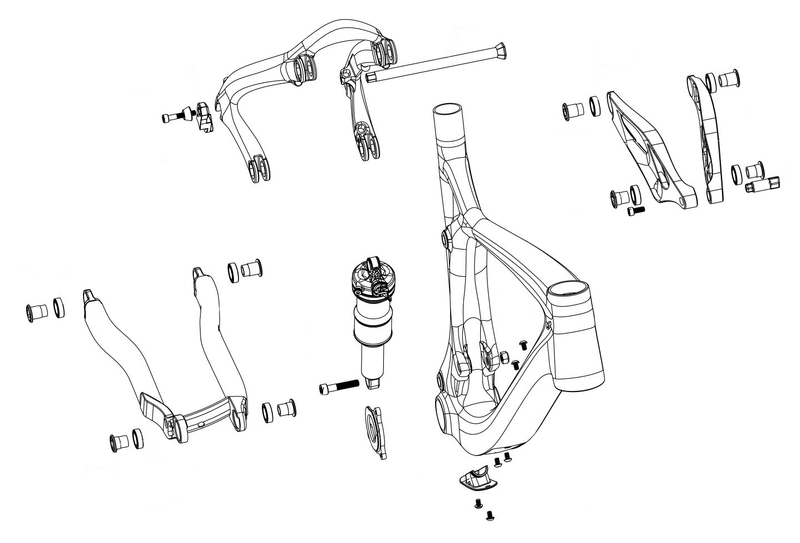 Together as a complete system, these elements culminate in a suspension that provides better traction, more control, and a greater ratio of pedal power to forward momentum than competitive designs. ACTIVE gives you the ability to ride harder trails than you’d imagined, and you’ll ride farther and faster with less fatigue. ACTIVE provides our legendary pedal performance and bump absorption across the board from big hits to small chatter. Unlike other suspensions that rely on a heavy-handed use of anti-squat to maintain pedaling efficiency, ACTIVE is designed to be fully alive and active while coasting AND pedaling. Without built-in forces to counteract the movement, the suspension is always free to respond to bump input from the trail. In fact, most of our riders prefer to climb with the rear shock in the open position. Tough climbs are more comfortable, and you’ll have more traction at all times. Chainstay growth is negligible throughout the rear suspension travel range so pedal feedback is minimized. The effect is that you’ll have more control through highly technical sections of trail and an instant-on pedal force when tackling power sections of the ride. It just takes one ride to know. ACTIVE Energy Efficient Suspension sets the new standard. Always Active. Always Efficient. The Ellsworth e-Den is an electronics storage area, dedicated to safe and tidy storage of your Di2 battery and wire junction within the downtube of the frame. 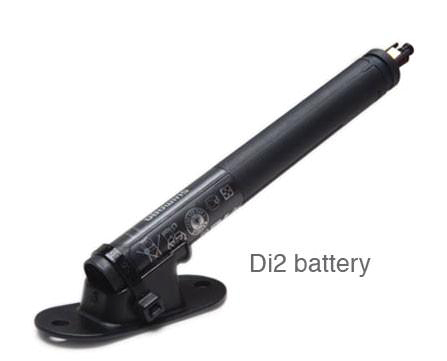 It uses a typical seatpost style cylindrical battery, but its storage in the e-Den still allows you to use a dropper seatpost. All of the electronics and associated wiring is tucked inside the frame and away from the hazards of the trail or a tightly packed shuttle rig. This makes initial installation a breeze, maintenance is easy, and your investment is always secure. Not running Di2, well the e-Den provides you additional removable storage for those little items you want to keep hidden but accessible. The Ellsworth Hex Taper Axle employs hexagonal shaping on both ends to effectively lock the dropouts and hence the seatstay assembly together into one unit that seriously resists torsional deflection. The dropout/axle interface is tapered on both sides for easy axle removal as well as offering the ability to preload the whole assembly to eliminate axial and radial play in the rear end. It is bombproof, lightweight, and easy to use with our tool-free tension system. We've built our Hex Taper Axle system to meet the modern 12x148mm Boost standard. 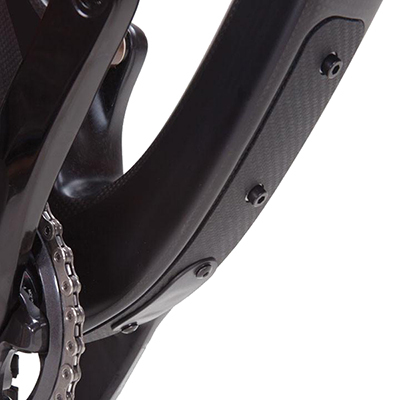 Ellsworth Carbon Fiber bike frames are very lightweight, yet they possess the strength and stiffness necessary to survive the rigors of hard riding in varied terrain. We can create this magical blend of physical characteristics because the orientation and number of each individual layer of carbon fibers in the production frame is specified according to a carefully engineered layup design. We purposely use a 3k weave outer layer because it adds durability over a unidirectional layer. 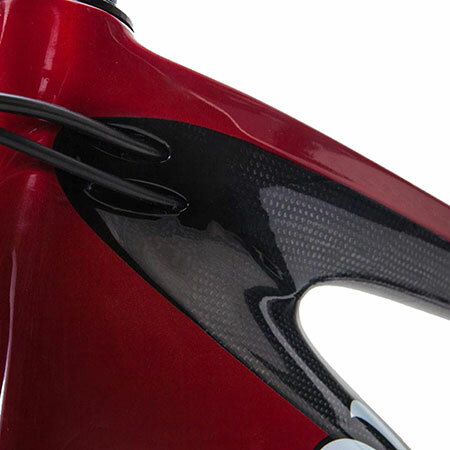 Your bike is more crash resistant, and the woven finish evokes that classic carbon fiber look. The result is a composite structure that provides the best possible ride quality, durability, and performance. We also offer the reassurance that your bicycle was manufactured in a socially and environmentally responsible manner. Our high-modulus Toray carbon is certified and carefully tracked from its creation all the way to its use in our frame molds. Our designs minimize the total amount of material used, and our processes minimize waste. Our state-of-the- art manufacturing facility in Taiwan exercises responsible practices, and we make sure to properly control the dissipation of carbon particulate in the finishing process. Our goal is a precise balance of high-tech manufacturing and stewardship. Frames are assembled with fewer bolts and washers to allow for easy maintenance and a creak free platform. Precision in design and manufacturing has created ways to simplify the highly engineered frames to make service and maintenance hassle free.